Most home builders find importing materials from China a good idea. These wholesale building materials are taken in at very cheap prices to be used by construction firms and a number of US retailers. A lot of industries today are making really good business coming from their deals with building materials suppliers in China. Such success has contributed to increased demands for an outsourced home building materials company overseas. The growth of China as a manufacturing and outsource powerhouse has grown incrementally through the years. About 25 years ago, China’s share in the global manufacturing output was at 3-5%. Today, half of the world’s goods come from Factory Asia. Name any product in any industry. Name any international brand. There’s a high chance that China has something to do in its production, one way or another. The same can be said in the home building materials supplier industry. If you look at every corner of your house, you’ll surely find an item or structure that came from China. That is how lucrative the business of importing wholesale building materials from China is. However, there are a lot of factors and situations to consider if you are planning to start a wholesale business of importing building materials from China. We have come up with the most comprehensive and complete guide for home builders on finding a building materials company and buying their wares at wholesale prices. We will also help you by sharing some trade secrets on how to get the best deals through the best places and methods like online sourcing, hiring a broker, and solving issues. Our guide is also a go-to source for those who want clear information related to documentation, importation, and solving the common problems and challenges one may face in the home building industry. We’ll show you how to import building materials from China. 1.1 What makes China the best source of imported home building materials? China is the largest country traders from around the globe import from. Wholesalers and retailers of building materials in the US alone have established connections with corresponding wholesale building materials suppliers from China in the production of their privately labeled products. International Commercial Terms, or generally known as Incoterms® is the universal language used by importers and exporters around the globe. Governments and legal authorities have also adapted the Incoterms® to reduce and avoid uncertainties and misinterpretations when it comes to international shipping transactions. FOB stands for Free on Board. FOB is the most commonly used type of agreement. Exporters and importers regard this kind of agreement to be fair for both parties. The building materials supplier is solely responsible and liable for goods until it is received by the carrier on a designated location to be the point used in shipping from China to the US. From then onwards, the responsibility and liability transfer to the buyer. FOB shipping point means the responsibilities and liabilities of the supplier ends once the shipment leaves the dock and heads to the US. This type of agreement is only applicable to transactions that are using the sea freight shipping mode. EXW (Ex Works) type of shipping is an agreement in which the buyer arranges every step necessary for the wholesale building materials’ shipping from China to the USA. The only advantage for buyers that we can think of is they have complete control of most, if not all of the processes involved. Manufacturers love this form of agreement. The seller is only obliged to help get an export license and Certificate of Origin. The procurement of other documents falls in the hands of the buyer. EXW is not that popular and is rarely used alone. It is usually combined with other Incoterms for parties to arrive at a better and fair agreement. However, using a freight forwarder to handle the steps in the shipment process while using EXW could be beneficial for the buyer. Check out our steps on how to import building materials from China below. The Bill of Lading is a document between the shipper and carrier that acknowledges the receipt of cargo for shipment. The BOL is an absolute requirement before the wholesale building materials’ shipping can come into fruition. It is an acknowledgment that the cargo has been loaded. The advancement of technology and easy internet access has created the option for any building materials company to use paperless BOL for shipping negotiations. Also called Electronic Bill of Lading, this digital document is commonly used today as it has the very same functions and legality of a paper BOL. Minimum Order Quantity is an Incoterm that refers to the least amount of units, in this case, wholesale building materials, the manufacturer or supplier is willing to produce at one time. The building materials company set this type of agreement to cover the costs during production and ensure profit is made with every production run. Every supplier may have different MOQ. The minimum order quantity range from 10, 50, 100, to 100,000 —all depending upon the type of wholesale building materials and production processes involved. MOQs can also be defined by the currencies like “$10,000 worth of products”. The importance of MOQs lies on the fact that both building materials supplier and the buyer can determine and agree on how much units are needed in order for both parties to start talking about doing business together. Some businesses operate on a small scale and need building materials suppliers who are willing to provide in small quantities. There are also big volume buyers who are seeking for a building materials company that have the capacity, materials, equipment, and personnel to handle such demands. OEM is the acronym of Original Equipment Manufacturer. Its actual definition may be a bit vague but it basically states that one company can sell products, parts, and equipment made by another company using the former’s brand. The purchasing company is enabled to obtain its needed product without the need of owning and operating the manufacturing company. Moreover, OEM relies on their ability to drive down the cost of production through the concept of economies of scale. A CIF or Cost, Insurance, Freight type of agreement solely places the burden on the supplier. The building materials supplier covers all shipping costs from China to the US, plus insurance. Both parties shall agree on whether the delivery ends at the point of destination or at the final delivery address. The buyer is responsible for paying the costs once the goods arrive at the point of destination though. The CIF agreement is much more expensive compared to the FOB as building materials suppliers add a premium charge to compensate for their efforts. Building new homes and commercial spaces are signs of progress. The same can be applied to the US. The constant grind towards progress and development necessitates the use of home interior building materials for various purposes. Take a look at these products that we personally imported from building materials suppliers in China. The quality does not stray far from those that are manufactured domestically but the prices are oceans apart in comparison. These patio doors and windows are excellent fits for new commercial buildings or just as replacements in home renovation. These wholesale building materials from China can spell the difference in savings and costs without sacrificing the quality and beauty of your home or commercial space. There are various choices in the style and quality of pre-made doors that are made from wood, vinyl, and fiberglass. This door is built to last and can add substantial curb appeal to your property. This fiberglass mahogany front door unit comes with an MSystem 2-year Warranty on the Door Component and the Base Prehung System as well as a 10-year warranty on the Glass Lite. All of our fiberglass mahogany front doors are virtually maintenance-free and will not warp, rot, dent nor split. The door has an accompanied pre-hung unit which seals out the effects of weather and practically eliminates air and water infiltration altogether. The patio door is a smart addition if you seek elegance and functionality for your home. This product is part of the MasterPiece Series of MP Doors, its manufacturer. This type of door is engineered with Hydroshield Technology which makes the full composite door system 100% waterproof and resists rotting, warping, splitting, delaminating, denting and rusting. Stylish satin-nickel handle with keyed lock and an auxiliary flush bolt. This patio door is engineered to withstand a lifetime of use and offers peace of mind that your door will remain beautiful for years to come —a low maintenance masterpiece only from the best building materials suppliers in China. These ceilings are built to provide quality sound control for any interior space. These acoustical ceilings come in various textures, colors, and styles. The building materials supplier made sure these easy-to-install HG-Grid are engineered to counter the effects of spaces with high humidity. This is a preferable option over conventional metal systems. Durable PVC construction provides long-lasting use. Designed to conjoin 2 ft. x 2 ft. or 2 ft. x 4 ft. ceiling tiles into a ceiling grid system; suspends from floor joists. Rust and scratch-resistant design repels corrosion and withstands wear and tear. Includes seven 8 ft. main runners, twenty-five 2 ft. cross tees and six 8 ft. wall brackets. Installs easily by fastening wall molding, suspending main runners with hanger wire and snapping cross tees into keyholes. The Stratford White Feather-Light Ceiling Panels are somewhat unique compared to other ceiling panels people are accustomed to. This feather-lite weight makes these ceiling panels unique. The panels are formed from a thin sheet of vinyl that is only 0.013 in. thick—just like holding a business card. The building materials company’s geometric design combined with the inherent strength of vinyl makes these tiles rigid, durable and easy to install. Their special design tricks the eye into seeing 2 separate square tiles rather than one big 2 ft. x 4 ft. tile. Their white finish is bright, pure and easy to clean. Place them in your ceiling grid and you ’ll be thrilled by the way the Stratford improves the look of your room. These fine-textured acoustical tiles from Luna ClimaPlus, the building materials supplier, are designed to last a lifetime. They are manufactured using a patented process that maximizes sound and anti-sag performance— for high sound absorption and sound blocking. Embedded within these ceiling tiles is a formulation that inhibits the growth of a broad spectrum of bacteria, mold, and mildew. These floor products are best suited for both commercial and residential spaces —-just perfect for both aesthetic and functional purposes. The product types are made of solid hardwood flooring, engineered hardwood flooring, ceramic tile flooring, laminate flooring, sheet vinyl, luxury vinyl plank, VCT, linoleum, ceramic tiles, porcelain, broadloom carpet, carpet tiles, and combimix. These authentic, traditional cement tiles from Merola Tile Cemento are hand-crafted 7-7/8 in. x 7-7/8 in. with a geometric monochrome pattern of various designs. These durable tiles can be used in a variety of interior settings. Grade 1, first-quality cement tile for floor and wall use. Unglazed smooth finish with a low sheen and slight variation in tone. P.E.I. Rating IV has high resistance to abrasion. Suitable for heavy-duty residential and commercial kitchens, hotels, exhibition and sales rooms with some dirt conditions. Non-Vitreous flooring has a water absorption of more than 7% for indoor use. C.O.F. greater than .60 to .79 is required for commercial applications to meet or exceed ADA (Americans with Disabilities Act) Guidelines. The Glazed Ceramic Floor and Wall Tile from one of the top building materials suppliers in China, MSI Bergamo Gris features a matte finish to help add style to your space’s design. This rectangular gray tile is made with the HD inkjet technology and features a luxurious stone look that adds class to a contemporary aesthetic. Suitable for medium-duty commercial or residential floors and walls, using this tile incorporates a distinctive personal signature in a wide variety of designs and patterns. 6 square feet, 8 pieces per case. The weight of each case is 70.08 lbs. Grade 1, first-quality glazed ceramic tile for floor, wall and countertop use. 12 in. width x 24 in. length x 9 mm thickness. Glazed smooth matte finish with a low sheen and slight variation in tone. P.E.I. Rating III is suitable for medium-duty residential and commercial floors including kitchens, corridors, terraces and areas used more often with everyday footwear and small amounts of dirt. Semi-Vitreous flooring has a water absorption of 3%-7% for indoor use. Slip-resistance/C.O.F. rating of .50 both wet and dry is marginally skid resistant, appropriate for indoor or some outdoor applications. This laminate flooring product from Pergo Outlast+, the Vintage Pewter Oak has a warm grey color. Its neutrality perfectly fits any home and commercial designs. This home building material is sought after for its durability and beauty. 19.63 sq. ft. per case. Tiles per case: 8. Case weight: 36.7 lb. This Greecian White Polished Marble Floor and Wall Tile, one of the wholesale building materials from MSI is best used to brighten any interior wall, floor, and countertop with its elegant white shade. Its smooth, high-gloss finish gives a distinct beauty—-only found in natural marble stones— to your residential or commercial space. 5 square feet; 5 pieces per case. Case weight is 30 lb. Here’s another of the wholesale building materials from MSI. The Honed Marble Mosaic Tile is compatible with subsurface heating elements and is impervious to water, bringing its potential uses to as far as the imagination goes—floors, walls kitchen, and bathroom— name it. Its Frost-resistance property makes them suitable for exterior applications and they are highly skid-resistant to foster solid footing. Use this mesh-mounted tile in any commercial or residential setting for an upscale look at a cheaper price. MARAZZI’s Montagna Dapple Gray Porcelain Floor and Wall Tile beats any type of wood when it comes to aesthetics and durability. Its rugged look can be mistaken for wood but its ability to resist moisture makes it the best choice when it comes to versatile applications. 14.53 square feet per case, 15 pieces per case; case weight: 58 lbs. The solid hardwood flooring from the building materials company—Bruce Plano Collection—gives the natural beauty of wood tiles like no other. Minor imperfections like mineral streaks, knots, and small holes give every individual tile its own character and color variation. 22 sq. ft. per case and case weight: 60 lbs. The latest innovation from building materials supplier Home Depot is the LifeProof Luxury Vinyl Flooring which is a highly engineered closed-cell foamed PVC core. This product delivers strength and rigidity despite being lightweight. The vinyl planks are authentically embossed as well as designed with drop-and-lock joints for easy installation. The attached underlayment minimizes sound, enhances warmth and comfort, and absorbs shock. Product safety is also assured as it contains no formaldehyde and phthalate. China can be a great source of products, equipment, and kitchen building materials. The designs, colors, and materials widely vary according to the specs of the building materials suppliers in China. These are the major reasons why wholesale building materials are appreciated by home and industrial builders alike for their kitchen construction and remodeling. This Glacier Bay Top Mount 33 in. x 22 in. Double Bowl Kitchen Sink has 2 deep high-capacity sink bowls and is made from 20-Gauge stainless steel for durability. The sink also features a satin finish for added style and durability. Its design makes this sink works in a lot of kitchen styles. Minimum cabinet size 36 in. Home Decorators Collection’s Hallmark Arctic White features solid MDF doors and drawer fronts with a clean, durable white thermofoil finish. These cabinets have CARB compliant all-plywood construction with full-depth 3/4 in. thick adjustable shelves for added storage. All cabinet sides have natural birch veneer finish for added design flexibility. This amazing collection of countertops made by building materials suppliers in China is very popular among imported products to the US. The price and quality of these wholesale building materials are unparalleled. These countertops made from natural quartz comes in many colors and patterns. Carefully engineered from ground quartz and resin, their surfaces are smooth, durable, and require low maintenance. Laden with its all-natural rock features like distinctive patterns and colors that are unique to each stone. Pre-sealed for durability. A durable stone structure presented in neutral tones, the surface features swirls with natural veins with a distinctive shine. Pre-sealed for easy care. A natural stone with elegant veining perfectly fits any theme. An all-time classic. This man-made acrylic comes in many patterns and colors. It’s smooth with no visible seams. The countertop can be repaired if chipped. This laminate kitchen countertop comes in many patterns and colors that make it look like natural stone. Affordable and easy to clean. A unique blend of raw materials that looks like stone or concrete. Highly durable. A butcher block that provides warmth and natural beauty, looks great unfinished, oiled or stained. Good for meal preparations and dining islands. This line of products is a definite mix of innovation, style, and functionality—all which are needed in every home and kitchen out here. This collection of top rated faucet designs ranges from vintage styles to the modern touchless kitchen faucets. These wholesale building materials are sterling examples of high value and style can be achieved at the lowest price. The sanitary ware industry is a very interesting business trader from the US should consider. The hospitality, commercial and residential construction industries are booming stateside. On the other side of the world, China’s manufacturing prowess has established the country as the world’s central hub for outsourcing sanitary wares. One can find all of the requirements needed by commercial and residential sanitary and bathroom needs in this posh collection from top rated building materials suppliers in China. When it comes to sanitary ceramics, bathroom vanities, bathroom units, bathtubs and whirlpools, shower, bathroom sinks, toilets, bathroom mirrors, bathroom cabinets, partitions, and bathroom hardware and fittings —name it—everything is covered. The Cadet 3 FloWise Toilet is composed of a separate tank and a toilet bowl. Its efficiency and functionality are supplemented by a seat, cover, and wax ring. 2-piece design composed of a separate tank and bowl. Elongated bowl for greater comfort. ComfortHeight design features a height comparable to that of a standard chair to make sitting down and standing up easier. WaterSense certified high-efficiency design uses 1.28 GPF for significant water savings. Constructed with durable vitreous china for cleaner, long-lasting use. Cadet 3 flushing system with 2-1/8 in. glazed trap-way and oversized 3 in. a flush valve for a powerful flush. Includes plastic seat and cover with the EverClean surface, wax ring for easy installation. Everclean surface inhibits the growth of stain and odor-causing bacteria, mold, and mildew. A home builder has a lot of choices when it comes to stylizing and sprucing up a bathroom. These bath vanities from building materials suppliers in China have already delivered the home building and renovation industries a lot of fortune. The choice of home vanities depends on your plans at hand. The range of choices for bathroom vanities depends on the style, size of the area, and quality of the materials that make up the vanity. Check out these different styles of bathroom vanity sets. The themes of the modern, industrial, farmhouse and rustic vanity sets will surely augment your home building designs. The area of your bathroom has just the right vanity sets to fit and provide adequate functionality. From freestanding bathroom vanities to double bathroom vanity set, the choice is entirely up to you. The bathroom vanity sets coming out from China are built to match the budget and preferred quality of materials. These imported wall panels are also among the wholesale building materials that are built with high quality and safety in mind. These are specially designed by a building materials company which is geared towards meeting our local standards of safety. Great consideration is placed on the materials, sizes and color options. Materials with special features include fire rated and moisture/mold resistance gypsum boards, fiberglass matted gypsum boards, abuse, and impact resistant boards, acoustic wall panels, tile backers’ boards, and shaft wall liners. These soundproof wall panels are suited well for living rooms, home theater, game rooms, office spaces, and auditoriums. Their ability to enhance sound while dampening the noise distractions is just remarkable. These Fiberglass Reinforced Plastic (FRP) overlay, manufactured by the building materials company FiberCorr, are laminated to a corrugated plastic core. The result is a lightweight panel that is so durable. Easy-to-manage and install. Now, for the list of exterior building materials, we’ve chosen the following products that we consider to be the bestsellers among building materials suppliers in China. Regular drywall – this drywall is composed of a firm gypsum core wrapped in paper and is available in a variety of sizes and thickness. The regular drywall is designed for direct attachment using screws, nails or adhesive to wood or metal framing and even existing surfaces. Fire-rated/Type X drywall – laden with protective additives and glass fiber reinforcements, this type of drywall is useful for interior walls and ceilings of residential and commercial spaces. Non-paper faced drywall – the front and back are covered with fiberglass for water resistance and deter mold. Moisture and mold resistant drywall – developed with advanced sheetrock technology which provides enhanced protection to inhibit mold and other microbial development. It also has Firecode resistant properties. Impact resistant drywall – this drywall has a dense gypsum core reinforced by glass fiber. This product is useful for high traffic areas. Tilebacker – a drywall with a unique moisture- and mold-resistant board which makes it ideal for wet areas such as bathrooms, floors, and kitchens. Shaft wall liner – this product is made with a special type of moisture-resistant panel which as well has fire-resistant properties. Insulation materials are commonly used in building or renovating commercial and residential buildings. These wholesale building materials can be used for both interior and exterior applications. Batt/roll insulation – Made from fiberglass, mineral wool, plastic fibers or natural fibers, this product by Owens Corning EcoTouch Insulation is easy to use. It helps keep the area cool during the summer. Batt/roll insulation is used on unfinished walls, foundation walls, floors, and ceilings. Rigid foam board insulation – This high-performance built-to-spec sheathing insulation is made from polystyrene, polyisocyanurate, and polyurethane. It is available in multiple thicknesses and dimensions—in both square-edged and tongue-and-groove joints. It is lightweight and easy to use and provides an optimum balance between performance and cost. Loose-fill and blown-in insulation – made from cellulose, fiberglass or mineral wool. Loose-fill insulation is most useful for hard-to-reach places, enclosed existing walls, open wall cavities, and unfinished attic floors. Rigid fiber insulation – made from fiberglass or mineral wool. Rigid fiber is often used in locations that are subject to high temperatures, such as ducts. Mineral wool insulation – Rockwool Comfortbatt is a special type of batt insulation is made from inorganic materials and is naturally fire retardant. It also dampens noise transfer between rooms, does not deteriorate, can be installed at any temperature, and is resistant to water, mold, and mildew. Best for exterior wood and steel stud applications. Here are the latest roofing and siding products offered by building materials suppliers in China at very competitive prices. Manufactured using the latest technology in the industry, customer satisfaction is ensured with every item of these wholesale building materials. Ondura Jumbo Shingles are designed for easy handling and installation for small roofing projects. Each Jumbo Shingle can cover over 8 sq.ft. Each pack can cover up to 96 sq. ft., depending on installation. Ondura Jumbo Shingles have no sharp edges, weight about 5 lbs. each, and transforms the roof with a unique look. This fiber cement siding is manufactured by Weatherside and is meant to replace those old asbestos siding shingles. These asbestos-free pre-primed siding shingles are resistant to warping, denting, rotting, and termite infestation. Weatherside, the building materials company responsible for such a great product, also made sure the easy installation of this siding through its design. This Metal sales Classic Rib product is an all-season metal roof suited to protect as well as provide beauty and style at an affordable price. These Classic Rib products are coated with MS Colorfast45, a superior four-layer coating system with a long-term ability to stand up to the elements. Its 7 color options have improved energy efficiency qualities. It acts by reflecting sunlight before it can be absorbed as heat. This radically reduces the amount of energy needed for cooling the building. Classic Rib also provides you with decades of worry-free service with low maintenance requirements. Constructed from low-maintenance, durable vinyl. No need to worry about scraping, painting or staining at all. Advanced locking system meant to provide a precise, secure, tighter fit and easier installation. .040 thickness for added performance. Our unique interlocking system ensures a strong, secure installation. Withstands wind speeds up to 165 mph. Hang-tough technology is our exclusive formulation and process that boosts durability to resist cracking, impact and thermal distortion. Limited lifetime warranty is a premium guarantee. Certified by the vinyl siding Institute for product quality and color retention, which guarantee this product meets or exceeds long-standing, accepted industry standards. These top-of-the-line Trex decking, railing, porch, and fence materials are made from premium materials by building materials suppliers in China and are ready to install. Manufactured by Fiberon, this Veranda Composite Decking has amazing benefits and advantages compared to wood but at a very similar price. It may look like wood but is resistant to warping, rotting, weather damage, and insect infestation. The 15-year warranty provided by the building materials company is also a welcome bonus. Mold and mildew resistant surface. No sanding, staining or sealing required. Environmentally friendly; made with premium recycled wood and polymers. Single board square footage – 7 sq. ft. Approximate board weight – 2.05 pounds per linear foot. The appreciation of realistic, beautiful wood products is perfectly exemplified by AURA Deck and Balcony Tiles. The variant colors and wood grain color streaking just accentuates its beauty. 100% Premium polymer, will not split, crack, splinter or fade. Ultra-low maintenance, created to withstand the elements. Contains no organic material, eliminating issues of mold, mildew, rot, and insects. Manufactured through a robust pre-engineered fencing system, EZ Fence is one of the wholesale building materials which combines durability, strength, and low maintenance of aluminum to provide the perfect structure for outdoor living spaces. The EZ Fence deck railing is a favorite among contractors and DIY Installers, according to a building materials suppliers in China. Alluring design preferred in today’s outdoor living spaces. No unsightly screws, clips, or rivets are exposed ---just the finished look. Easy to assemble and install. No welding needed. Engineering documents included with each order for easy permits if required. The cornerstone of the Endurance product line, Original Rail is the most complete system of deck railing kits that allows easy installation to any surface at any angle. The presentation is elegant yet no sacrifice or compromise had been done to its safety and high-quality standards. Standard kit length and height: 6 ft. x 42 in. w/2 in. Here are some of the EIFS and stucco supplies that fit with any home or commercial types of construction. They are wholesale building materials of the highest quality and have met all standards, policies, and compliance testing. The Exterior Insulation Finish System (EIFS) is a lightweight synthetic wall cladding that provides an insulated finish surface and waterproofing in an integrated composite material system. The Eifex mesh offers the best exterior or interior structural reinforcement material used for stucco, cement, plastic, asphalt and marble material. This extremely durable and decay resistant fabric displays flexible properties, high strength and excellent alkaline resistance is widely used as the ideal exterior insulation and finish system and considered to be the innovative world leader in cladding, coating and restoration systems. This high-quality Fastwall Stucco Base Sanded One Coat is composed of Portland cement, lime, fibers, propriety additives, and other materials to meet the highest of standards. All you need to do is add water. Sand has already been added for a perfect mix ratio. Covers between 15 sq. ft. and 25 sq. ft. depending on thickness. The single base-coat system can be installed from 3/8 in. to 1/2 in. thick in a single application. Code-recognized assemblies offering fire-resistant ratings. Resists impact, termites, rotting and fungal infestation. Fiber reinforcement for long-term durability. This extensive line of metal framing and accessories from building materials suppliers in China comes in a variety of sizes and lengths as well as with a full selection of accessories. Light gauge steel studs and track – designed for use in interior non-load bearing applications. Products are produced in thicknesses from 15-33 mils. Heavy gauge steel studs, track, and joists – designed for use in curtain wall and load-bearing applications. Available in 20 gauge to 16 gauge with flange/leg sizes ranging from 1-3 inches. Shaft wall studs, track and jamb struts – created as rigid high-performance products to maintain shaft wall integrity. These products are manufactured in 25 gauge, 20 gauge, and 18 gauge. Special orders/Custom – special order metal framing items of customized specifications are available upon request. 3.1 How to find a building supplier in China for a certain product? 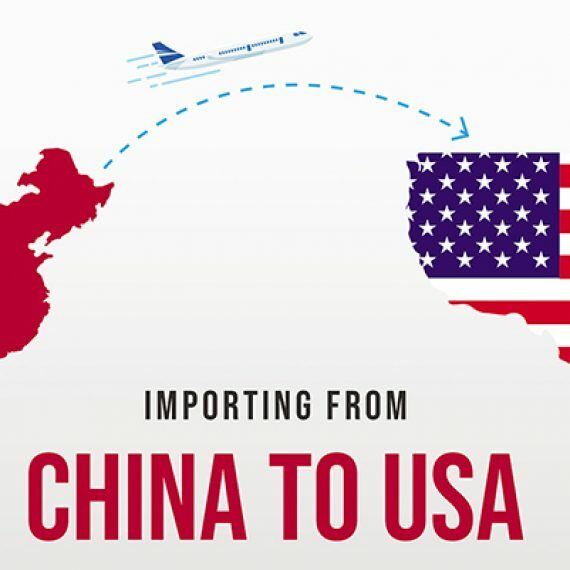 3.2 How to transport building materials from China to the USA? All business startups basically start with two things: A basic product idea and supply. Once a brilliant product idea comes to mind, the next objective will be where to find the building materials supplier that perfectly fits the business’ needs. In today’s trading industry trends, most building material suppliers are currently sought out and found on the other side of the globe—China. Labor and manufacturing costs are much lower compared to other countries. There are a lot of manufacturers to choose from. Online services and communication to the other side of the world are easier and better in this day and age. Capable of producing your product or conceived idea. Also a manufacturer, wholesaler, or distributor of currently existing products. Also, a dropshipper who can fulfill orders. While most US-based traders are fine doing transactions and establishing partnerships with building materials suppliers in China, there are also some who may feel uncertain due to some dejected stories floating about. Most of the time, these stories are true. The items presented above are undeniably true. This is true in China as well as in other countries in the world. There are companies that have shady practices like those mentioned above but there are also manufacturers and suppliers hailing from China that are producing goods at high quality at very competitive prices. Such good-intentioned companies adhere to the ISO 9001 Quality Management System, which makes their products world-class. But like any trading done with suppliers from other parts of the world, buyers must be dutiful and conscientious before agreeing on any transaction. Thorough research is necessary, not just in the context of how to import building materials from China but also in handling businesses in general. More about this in the discussion of Common Problems and Challenges in Importing Building Materials from China to the US. After reading about the reality of international trading, it may be daunting and scary for some starting entrepreneurs but through this guide, we will help you find the best building materials company efficiently and effectively as well as how to import building materials from China with ease. There are various sources that can be rich in valuable information about the wholesale building materials you wish to bring in to the US. All you have to do is find the right supplier in the best possible locations. 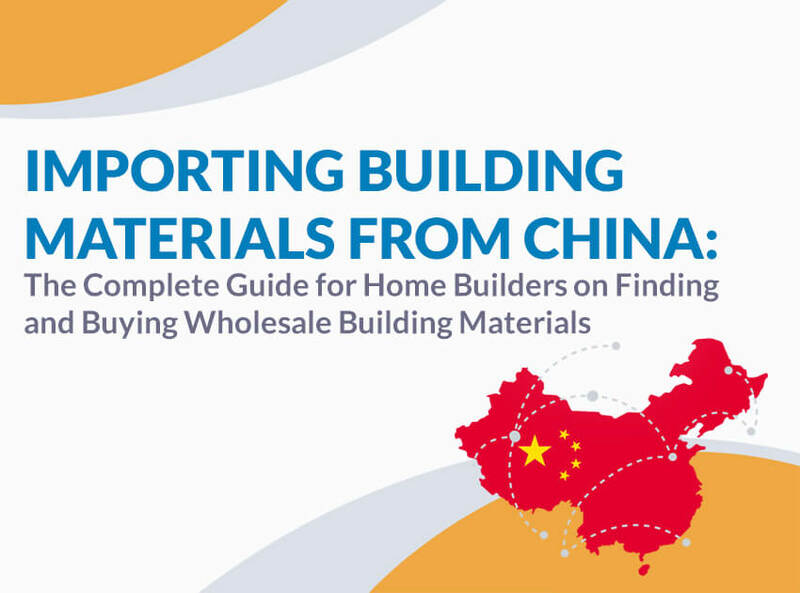 This list below will guide you where to find the best places to find a home building materials supplier and how to import building materials from China. The advent of the internet has brought traders from all parts of the world much closer than it has ever been. International trading today most likely involve the internet in finding new ventures. Google itself has established itself to be a great source of trading. There are a lot of available free online supplier directories that contain thousands of manufacturers, wholesale building materials suppliers, and hybrid traders both from both a domestic and overseas standpoint. This entails an easier comparison for the buyer as well as conveniently aid in the decision-making process. We want to share our own experience related to seeking the perfect building materials company for your ideal business plan. Take Alibaba below as an example. It enabled us to get the best opportunities for finding the perfect partner in importing building materials from China to the US. Let us go in-depth and see what makes this platform great. Alibaba is the best site one can get the possibility of acquiring good fortunes or spell the end of your trading career. That is no hyperbole. It is just how rich it is. The best advice we can give to starters is: Don’t be intimidated. There may be some unfortunate stories and experiences about trading with building materials suppliers in China on Alibaba but equipping yourself with rich information about the platform can help you avoid experiencing such sad predicaments. We’ve compiled some valuable information, safety guidelines and precautionary measures on how to use Alibaba as a rich source of finding a building materials company from China. Alibaba is a platform that offers a wide variety of products of wholesale building materials suppliers from China. It has been noted to be the biggest eCommerce website in the world. The number of brands that showcase their wares on the site is literally unmeasurable. Having said that, there’s a feature in which user navigation is made so easy that access to the supplier directory is not a problem. What makes the website distinct is one can purchase a single item or by volume with any transaction. In this website, transactions can be directly done with the manufacturer or the building materials supplier. High volume discounts and custom product development are major features that make Alibaba one, if not the best trade and commerce website. The platform is also the site where the best and most experienced entrepreneurs hang out. One can commonly find highly customized products at very low prices. Plus, the following and audience here are abundant making any new venture or product introduction a less risky affair. Truth be told, the internet is filled with scammers and traders with malicious motives—-and Alibaba is not safe from them. After all, any manner of trading has accompanied risk, whatever platform you tend to use. The fact that products and money changes hands multiple times increases the risks of acquiring defective or fake products. However, the administration of Alibaba has placed security measures to protect any transactions done within the site. They also have protocols that determine the legality of the building materials supplier and show if they’re properly registered. Alibaba has also a feature wherein you can report a seller who you think is fraudulent in character. In general, finding a building materials supplier or manufacturers in Alibaba is a relatively secure endeavor. It can be in fact, an enjoyable and profitable experience. Here are some guidelines to follow once you decided to do some trading on Alibaba. One can check if a trader is a Gold member through the “supplier details” section. Alibaba’s Gold membership is quite expensive. This is purposely done to shun away scammers and dishonest traders. Obtaining a membership also requires an in-depth scrutiny of the business, a verification system, and maintaining a credible track record. In short, there’s much to lose and less to gain if you’re a scammer with a Gold status on the platform. Another tip is to check the building materials company’s gold status in conjunction with the number of years they have been on the platform. The longer they have been on the platform more like indicate they are trustworthy and safe to deal with. There are a lot of product deals out there that seem to be too good to be true. Branded items are primary examples of this. Brands like Samsung, Apple, Disney, Sony, and so on do not allow their products to be sold in volumes. If you encounter deals like this, it is more likely to be counterfeit or a scam. Even Chinese brands with this kind of offers may be fake too. When looking for building materials suppliers in China, try to compare their prices and see if they are capable to serve your needs and check the quality of their wholesale building materials. A well-conducted research about the company or person you are dealing with will at least minimize any doubts you have with them. There are a few steps to do when researching on the building materials suppliers on Alibaba. Check the “Supplier Details” for relevant information you may need. Use the Contact Now or Leave Messages features and ask as many questions you may need. Check the supplier’s Mini-Site and see what else they are offering. Check if the supplier is authorized to sell the products they are offering. Check their “Trading Level”. These are the number of diamonds they have obtained for accumulated successful transactions on Alibaba. Payment won’t be released to the supplier until the buyer received the order and is satisfied with it. A full refund will be implemented if the buyer never receives the order or did not arrive on time—due to an error from the supplier’s side. A partial refund will be done if the product the buyer received is significantly different from its listing. Trade shows, also called trade exhibits (Expo) or trade fairs are organized by entities from a specific industry to demonstrate the latest products and services, check out trends of rivals and in the industry itself, and meet up with potential partners and customers. Trade shows that are done here in the US or abroad are rich sources of wholesale building materials suppliers and manufacturers. A lot of companies hailing from China actually join these trade shows hoping to meet new prospects, if not partners to conduct businesses with. 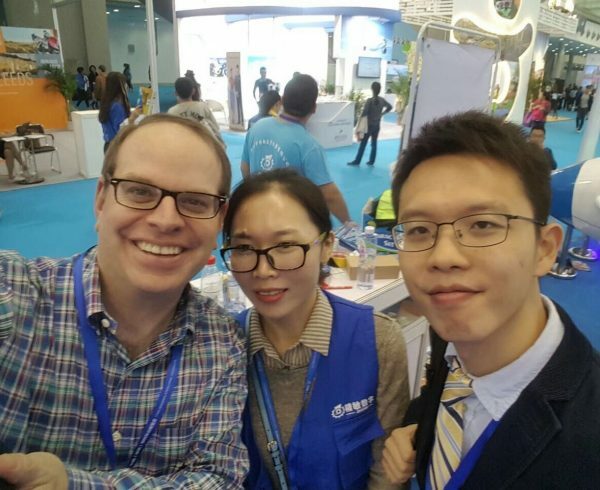 On the other hand, entrepreneurs from the US make their way to China to join and experience the biggest gathering of traders in the world —the Canton Fair. The China Import and Export Fair, commonly known as Canton Fair boasts to be the biggest and broadest trade showcase on the planet. The trade fair is held in the China Import and Export Complex in Guangzhou, China twice a year and consistently holds the biggest attendance of any trade-related event. An average of 20,000 vendors and 200,000 buyers are expected to be present during the 3-phase affair. The phases are implemented as a classification of the products to be showcased during a certain period of time. 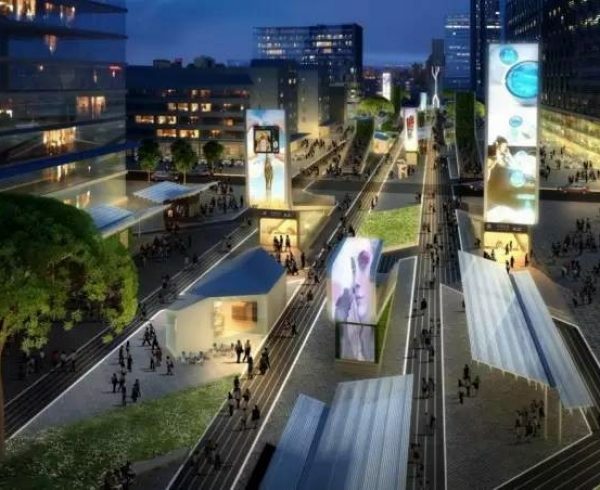 The Canton Fair of 2019 has already been announced as well as the products to be exhibited during each phase. The products mentioned in this guide belong to the Building and Decorative Materials which are listed under Phase One. Coatings/Chemistry: Wall Surface/Waterproof/Floor Coatings, Coating Auxiliary, Coating Packaging Materials, Dry-mixed Mortar, Adhesives, Admixture, Auxiliary, Building Adhesives, Adhesive Tapes, Caulking Compound, Anti-rust Materials, Waterproof Building Materials, Waterproof Additives, Anti-leakage Materials, Waterproof Technologies, and Related Equipment. Note: There are a lot of other huge and attractive trade fairs for various industries held at various places and dates in China all year round. If you are interested to learn more about them, send us a message and we’ll gladly feature them in our future content. The US has also its share of trade shows and events where the best and brightest companies, entrepreneurs, industry partners, and customers from a specific industry meet for various reasons and purposes. Big events like the NAHB IBS and KBS presented below, are typical examples how the players in the construction industry meet up to exchange ideas, build networks, and provide a one-stop shop for customers. The NAHB International Builders’ Show® (IBS) is held annually and is the largest exhibit of the latest in technology and construction industry. The multi-day event features a lot of activities that target different demographics. Attendees have also a multitude of reasons ranging from learning from the pros, developing new skills sets, making business, and widening their networks. Their activity highlights are usually innovative and tend to send ripples across industries. Hands-on workshops led by the top industry leaders are very popular as the atmosphere is always expected to be entertaining and filled with passion. The 2019 IBS will showcase the latest products from over 1,500 top manufacturers and suppliers from across the globe. A lot of booths that feature wholesale building materials can be found during the event. Buyers can directly engage with manufacturers and check out new products coming out straight from the factories. One can talk and deal directly with a building materials supplier and close a deal on site. A couple of disadvantages may emerge if one is trying to find a very niche building materials company in this event. The choices that you get or are offered may be somewhat limited. Not all the best options are available and some specific materials commonly used in home building can’t be found here. The KBIS is a trade show dedicated to all aspects of kitchen and bath design—the largest in North America. This is the event for those who are looking for wholesale building materials to be used in kitchen and bathroom designs. The exhibit area is filled with the latest products and designs from over 600 leading brands. This very niche trade fair is the perfect destination for attendees and exhibitors to widen their network, exchange ideas and showcase their kitchen and bathroom-related businesses. This is the absolute place to interact with building materials suppliers and get information on the best deals available. The collection of building materials suppliers in China is absolutely mind-blowing. 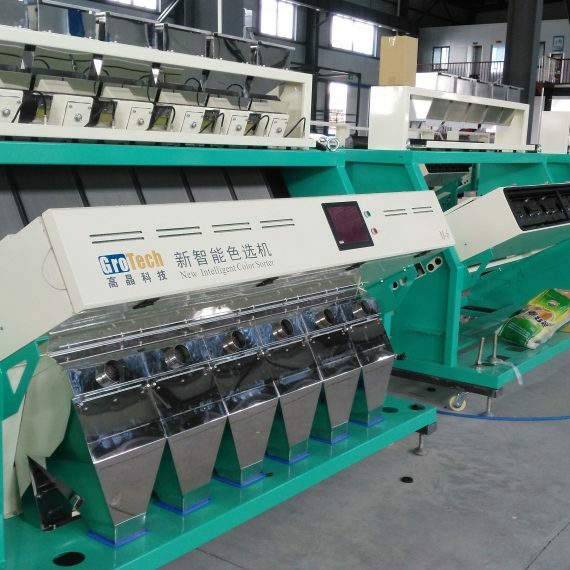 Just by checking the suppliers’ directory, one can easily say that production of various products, particularly wholesale building materials, all are compartmentalized by city. One city serves as a cluster in the production of ceramic and non-ceramic sanitary wares while another city is filled with building materials suppliers of kitchen products and accessories. Now here’s where the real fun begins. 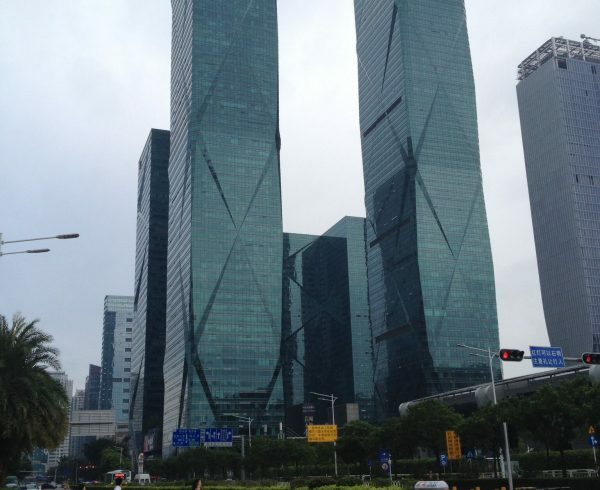 There are certain cities in China like Guangzhou, Foshan, and Shenzhen. The trio of cities constitutes the majority of the Pearl River Delta Economic Zone, which serves as the main market in the manufacturing and supply of wholesale building materials alongside other industries. Guangdong Province is the central hub for manufacturing wholesale building materials, particularly tiles and sanitary wares. 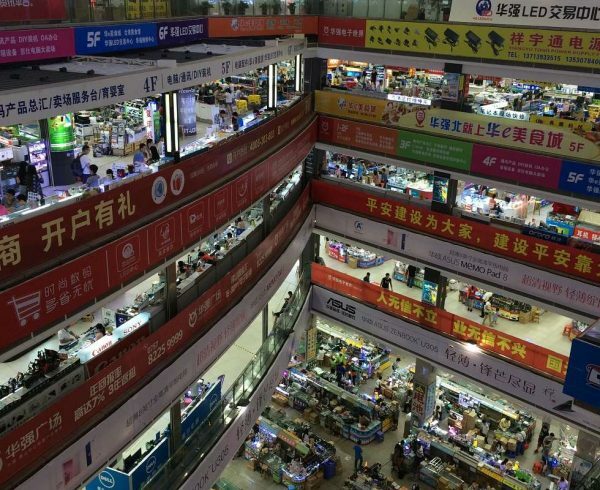 Hundreds to thousands of businessmen, foreign and local, flock the cities of Nan An, Kai Ping, Chaozhou, and Foshan on a daily basis to procure products to be sent to other parts of the country and the world. They have even entire malls dedicated to showcasing one single industry or a specific line of products. That’s one-stop shopping for you. Located at Jianyuan Road the biggest market for wholesale building materials offers a wide range of choices. Decorative materials like doors, window, partition, floor, lock, wallpaper, smallpox chandeliers, lamps, and other items needed for construction and renovation can easily be found in Foshan Huayi Decorations Materials Market. Most medium to high-end brands can be found in Casa Mall. Regular exchanges between importers and exporters also happen here. This is a nice spot to find a good building materials supplier if you ever need one. All kinds of furniture and wholesale building materials can be found here. The area is divided into two sections. One section displays high-end brands and those products with the highest quality while the other serves as the display area of mid-range brands. China Ceramic City lives up to its name. 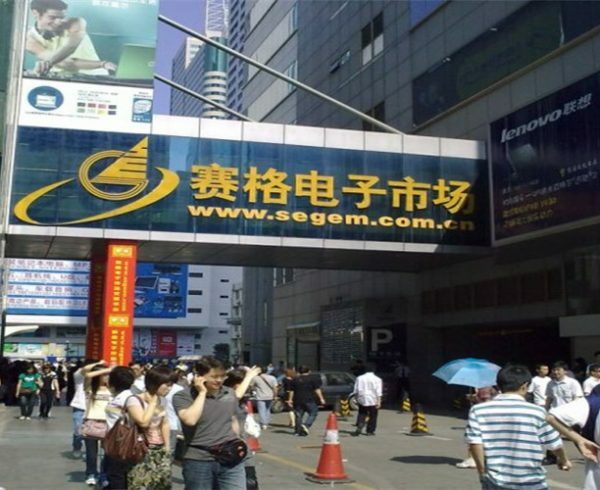 This 53,000-square meter building houses more than 140 domestic and foreign well-known brands, especially in sanitary ceramic products. The items displayed here are straight out of the factories. This is the place to go if you are seeking for wholesale building materials for your business. The Guangzhou AnHua Decoration Material Center covers over 60,000 square meters and offers more than 1,000 booths of decoration materials that is pretty much extensive in variety. The center is located conveniently making transportation to the site easy. The choices for home and commercial space materials priced at both ranges of the spectrum are readily available. The modernization of Guangzhou and China, in general, owe the nation’s progress to the reform and opening up policy. The widely popular Canton Fair is held at this location, making it a grand stage for global trading. The variety of products found here are so extensive that if you’re looking for construction materials, there’s more likely a building materials company agent or booth waiting at all directions. The very definition of wholesale is practically applied in transactions done in these locations. Arguably the largest display of all kinds of decoration material, the Guangdong Decoration Material Market is considered a paradise for any building materials supplier. The one million square meter area market houses at least a thousand booths. If you want an example of what a global trade and commerce center looks like—this is it. Wholesale buyers, entrepreneurs, and building materials suppliers in China and from countries around the world converge here. One can find home and office decors and materials here. The choices available here is so varied that any style or design for both the interior and exterior settings can surely find something in here. From indoor and outdoor lighting to kitchen materials to ceramic wares, buyers from all corners of the world flock to this 50,000 square area wholesale building materials hub to find some business and trading opportunities. Wholesale markets are great avenues for a building materials company to showcase its products. On the other hand, traders, suppliers, and consumers find these locations to be great sources of business opportunities and cost-saving procurement hubs. In short, both B2C and B2B industries benefit from wholesale showrooms like these. However, there may be also some downsides for some who are looking for wholesale building products that require some customization and other bespoke type of situations. The showroom is readily available. There are vast collections of products from different companies to choose from. Products are available to pick and purchase and priced competitively. A good place to meet building materials supplier. Customization of materials and products may be near-impossible or non-existent here. The chances of acquiring products and wholesale building materials to private label is not possible. OEM types of agreement are not available. Most first timers might actually scoff at the suggestion of hiring a broker or ASA sourcing agent to help them in dealing with building materials suppliers in China. The stories of fraud and scams are reasons enough why such necessity is imperative. A broker is so much more than a middleman when it comes to international trading. It is essentially your supply chain manager in China. 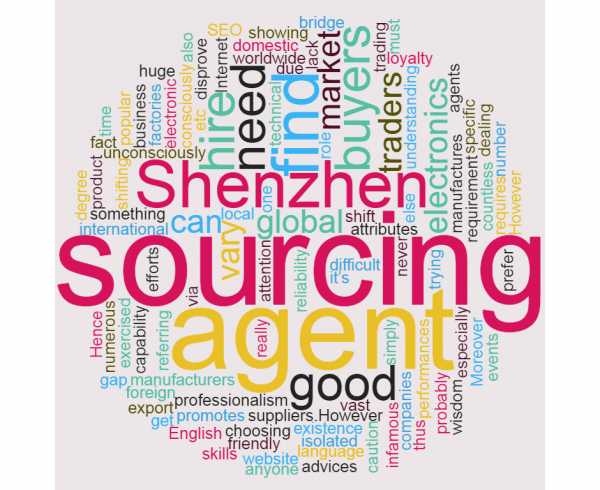 Product compliance, quality control, product inspection, communication and language barriers, among others are the primary tasks of a sourcing agent. This is an entire supply chain management involved when importing from China or outsourcing wholesale building materials manufacturing to China. One idea that can surely help in the decision-making when choosing for the suitable building materials company is assessing its capabilities. Determine if this building materials supplier is capable of meeting your demands in terms of production, quantity, quality, and turnaround time. By doing this, it can be concluded if the company is a manufacturer or just a middle-man. The variety of products and industries that they serve can also say things about their business. Public records of companies from China are duly listed on their AIC (Administration for Industry and Commerce) websites. The sites are available per locality (province and major city). This item can be found in the business license—also on AIC sites’ information list—of the building materials company. The registered capital will show if the company is a trader or a legitimate manufacturer. The company’s registered capital will also show its capabilities in terms of production. Getting wholesale building materials at a bargain price is one thing while ensuring that such products are of the highest quality is another story. The world-class manufacturers from China usually implement a quality management system that adheres to the standards set by ISO 9001. This step will help buyers have a notion about the quality of products they should expect as well as filter manufacturers from traders. Looking at these records will be more than a bit of a task. However, there are agents who can do this if buyers do not have the abilities to translate and interpret as all documents are written in Chinese. To ensure the quality of the merchandise, it is also advised to have a quality inspector (See Broker/ ASA sourcing above) to check for substandard or damaged products. The minimums must be manageable for both parties. This must be the first thing to be discussed as the minimum order quantity wildly varies from one building materials supplier to another as well as the feasible budget of buyers. It is more likely a sample order will initially be conducted prior to ordering in bulk. Some suppliers may provide a discounted price for samples while others may send them for free. The production pricing is the meat of the conversation. A pricing based on different quantities to get a clear picture of the costs and discounts once an order pushes through. Time is a critical factor, especially in the shipping business. Know how long a delivery will take off the bat. This is one factor to consider when looking for a building materials supplier. While there are suppliers who may agree with changes in the terms of payment down the line; most of them would ask their buyers to pay for the full order upfront, which may be quite heavy for startups. How to Ship Building Materials from China to the USA? There may be other methods of shipping wholesale building materials from one continent to another but if you are concerned about profit and costings, the only feasible method of bringing large volumes of merchandise from China to the US would be via sea freight or ocean shipping. The majority of deals made with building materials suppliers in China use freight shipping in bringing their products to the US. The volume of the cargo will determine which type of container to be used. This ocean freight term is used for shipment that does not fill an entire container. Other customers of the freight transport provider can use some of the container’s space while everybody shares with the cost. This is a more convenient and reasonable form of shipment for wholesale building materials weighing less than 150 kilos. However, LCL may be more costly in the end with additional costs piling up on multiple shipments. There are situations wherein the local charges are much higher than the actual shipping cost. FCL is another sea freight term which is used in opposition to LCL. However, it does not mean the container must be fully loaded. It is a term used for the type of shipment discussed in a single transaction. Most shippers choose FCL in shipping for their mode of shipment due to the undeniable benefits and decreased risks involved. Cheaper compared to LCL shipping. Shorter transit or shipping time from China to the US. FCL is the most cost-effective freight method if measured by cost per volumetric unit and weight. Ocean freight shipping is the only viable, inexpensive option for large volume shipping of wholesale building materials from China to the USA. If the lead time is of least importance compared to profit and sales. Sea freight shipping is considered to be the cheapest – albeit the slowest- mode of shipping. For those who are planning to do some shipping of wholesale building materials from China to the states, familiarization of the nearest, busiest, and largest US ports is a must. A smart building materials supplier should look for the best possible routes and port of destinations available. This is a strategic way of lowering the shipping time and consequently help in shaving off some of the costs. The United States has about 360 commercial ports spread across the East Coast, West Coast, and the Gulf Coast. Located along the coast of California, the Port of Los Angeles is the major US port involved in Trans-Pacific trades. It is the 19th busiest port in the world based in container volume due to its strategic location. It has an average of 4.5 million TEU handled every year. Sitting right next to the Los Angeles port is another major player in container trade with Asia. Annual trades at the Long Beach Port is estimated to be at $180 billion. Most container shipping from China to the US west coast happen here. Based on our experience, the ocean freight shipping time of wholesale building materials from the other side of the world can take from 30-40 days on average (depending on the port of destination) for the door to door shipments. Sea freight carriers usually practice this—purposely prolong the transit time—to save on fuel. Other factors that add to the extending of sea freight lead times are port congestion, customs delays, and poor weather conditions. Take note that freight forwarders along with sourcing agents, will always find ways to keep the steps to a minimum and as efficiently as possible to reduce the shipping time from port to port. In the calculation of ocean rate, several factors may add up before the landed cost is determined. In sea freight shipping, the classification of the cargo has an impact on the shipping of those wholesale building materials. There are sets of guidelines of classification used in the calculation of shipping cost. Container types and sizes are primary considerations to calculate when it comes to sea freight shipping. A large chunk of the cost involved in shipping wholesale building materials from the other side of the globe involves the weight, distance, the shipment time, and the quality/classification of the cargo. Knowing what you’re shipping what you are shipping is the most important factor to understand. It is a fact that the cargo shipped varies greatly from one shipper to another. What is crucial here is you know what you are shipping—legally. The cargo is classified based on an international set of rules (Read HS Code below). It is advisable to use the services of a freight forwarder. This entity can help determine if the goods are valid for shipping and if they may require additional paperwork. The shipping rates are very volatile and may change depending on the season and availability of shipping vessels. The building materials supplier should make sure the information about the cargo is accurate. It is imperative to get the most accurate freight route and optimize the shipping time across borders. Coordinate with a freight forwarder as well as with the building materials company to be able to consolidate information of the freight weight. The freight forwarder will check if there will be additional charges after liaising with the carrier. This is helpful especially for regular international traders as the shipping from China to US cost can be determined much sooner. The wholesale building materials’ shipment time is a factor that should be planned and dealt with the way ahead of time. The art of haggling over spot rates can be unreliable and frustrating at times. Spot rates may change drastically and can affect the costs of the entire shipping process. Avoid such situations by having your agent get hold of the latest freight rate quotes then determine the best pricing. Always check for the latest rates for your chosen mode of shipment. Of course, it is essential to know where the cargo is being shipped to and from. Other services like port-to-port, port-to-door, and door-to-door can also alter the shipment costs. As an added note, we advise to be cautious and never be too assuming when it comes to certain terms used in the shipment of wholesale building materials. Certain terms such as total ocean cost do not imply that it is the total amount you are to pay. There will be more fees, taxes, and other costs needed to be shelled out once the shipment arrives at the port of destination. See landed cost below. One may find really very good deals on products, especially wholesale building materials coming out of China. However, these prices more likely do not include tariffs and taxes, which would weigh heavy on the total cost. Getting to know of these additional costs is an important step in learning how to import building materials from China. Take note that it is the importer and not the building materials supplier who is responsible for the payments of the following fees unless agreed otherwise. Taxes and tariff rates vary from country to country. The United States use the FOB in the calculation. These fees are generally collected once the shipment of wholesale building materials arrives at the port of destination and during the process of customs clearance acquisition. An import duty is a form of tax collected by the state on imports and some exports. The country’s customs is the sole authority that performs the calculation and collection. The due amount is usually based on the product’s value. There are various purposes why a country’s government impost import customs duty. Nevertheless, any product going in the country would require the importer to pay some fees. A common practice in the shipping industry is having the import duty levied once the imported products enter the country. This can be done by the shipper, the buyer, a customs broker, or a freight forwarder. It is common for the buyer to absorb these fees unless there’s an agreement between the seller that states otherwise prior to shipping from China to the US. Moreover, it is impossible to have the building materials supplier from China to confirm the duties and the taxes associated with the products. Thus, the responsibility to pay any duty owed on an import falls on the importer from the US. The tariff amount for a certain product is determined through the harmonized tariff schedule (HS Code system). Customs clearance is defined as the act of passing goods through customs before they can leave or enter the country. A document duly signed by customs representatives is given to the shipper to affirm the goods is “cleared” to be shipped. Every port in every country requires every shipment to undergo customs clearance. The whole process may be a hassle if one doesn’t know how it is done. There are companies and individuals, however, who can handle the nuances of the process and help every shipment go smoothly. They are called customs brokers. Other entities like freight forwarders and outsource agents are also capable of handling the US Customs Clearance process. Also called customs surety bond, the customs bond is a contract between the importer and the customs that acknowledges the presence of a specific obligation attached to the importation of goods and guarantees that such obligation will be paid. In short, it is a guarantee that payment will be made. All imported merchandise entering the country for commercial purposes requires a customs bond before it is allowed to enter. A customs bond can be obtained within 24-36 hours, assuming a valid power of attorney is also in place. Customs bonds are either classified as a single entry or continuous. The continuous customs bond has a validity of one year and includes 10% of duties, tax, and other fees. Pricing depends on the value and type of the goods involved. The Harmonized Tariff Schedule of the United States is used for all types of merchandise shipped into the country. The HTS is based on the International Harmonized System, a nomenclature for all goods traded in the international market. HS Codes, also called tariff codes, customs codes, harmonized codes, import/export codes, and Harmonized Commodity Description and Coding System codes are used globally as a universal language for classifying products. With every product classification number comes a corresponding HS Code Classification number, HS Code Description, and import duty. The first 6 digits of the HS code number corresponds to its main category, which is also the international code. The remaining digits on the right stand for the country’s (in this case the US’) sub-division. Each product has a corresponding 6-10 digit classification number. Knowing the correct codes for the products you will be importing is very important. You can find the codes for your products through this HS Tool. Here is an example of one of the wholesale building materials we’ve used the HS tool on. 1. Use generic descriptions when searching for your products. Use “tile” instead of ceramic tile. 2. Select the country for HS Code search. 3. Place the amount per item plus the shipping fees. Landed cost is defined as the total cost of a shipment the importer/buyer needs to pay. Every fee, clearance, tariff, and whatnot are included in the landed cost. The sheer amount of items listed above can keep your head spinning indefinitely. However, there’s no need to get too overwhelmed and frustrated though. There are generally two ways you can calculate for your total landed cost and overcome these nuances. 2. Coordinate with Customs, the freight forwarder, or with your outsource agent. The freight forwarder and the outsource agent do these things for a living and make sure you’ll fully understand the concept as well as guide you find ways to keep the shipping cost of wholesale building materials from China to the US to a minimum. The US government strictly require that any new building construction or major renovation undergo prudent regulation to ensure the safety of the public from hazardous materials and substandard quality of construction. Certain specifications, policies, regulations, and standards have been placed and require the building developers to have their site and materials undergo compliance testing. There are a lot of federal and state regulations in the United States that importers, exporters and home builders should be aware of. Some state laws demand much stiffer requirements and heavier penalties compared to federal laws. For this guide, let us focus on the agencies that monitor the quality of construction materials used and structures’ integrity as well as regulations that are followed in the state of California. This model building code developed by the International Code Council (ICC) has provisions that are intended to protect public health and safety. The code’s provisions as well aim to avoid unnecessary costs and preference for using specific materials as well as specific methods of construction. The code is applied to all structures and has references to other codes such as the International Plumbing Code, National Electric Code, and National Fire Association. A large portion of the International Building code deals with the prevention of fire. Its difference from the International Fire Code is its focus is primarily on the construction and design of buildings where such structures are recommended to be built using fire-resistant materials. The International Fire Code is a model code that presents minimum safety guidelines for new and existing structures. The IFC covers the protection of life, limitation of potential hazards, prevention and protection from fire. Non-compliance is deemed to be a violation and may result in fines or worse, revocation of business licenses and imprisonment. Energy codes have been implemented for the purpose of producing and using of products and materials that are energy-efficient. These codes set the standards of plastic insulating materials that are used in residential and commercial construction and renovation. The IECC code applies to all residential and commercial buildings and emphasizes the minimum design and construction requirements for energy efficiency. This standardized code is applicable to commercial buildings that have three stories or less. The EPA is an agency of the federal government with the mission of protecting human and environmental health. The agency is responsible for regulating the manufacturing, processing, distribution, and use of chemicals and other pollutants. Fines, sanctions, and other procedures are used to enforce the EPA’s programs. Polyurethane is a hybrid compound that is widely used by technically all types of industries. This compound exhibits an almost impervious resistance to chemical exposure, abrasion, and corrosion. A poly coating that is manufactured well poses no danger to humans. However, in its uncured state, the inert components of this compound may lead to a lot of health issues. Thus, certain regulations and standards have been set to ensure that proper manufacturing protocols are followed. Note: We advise to research on the federal and state laws that are set in your area. Make sure to identify the quality and chemical composition requirements of wholesale building materials before pursuing and closing a partnership with a chosen building materials company. Importing wholesale building materials from China is no walk in the park. The reality can be far worse than one can expect. Some problems may arise that could hamper the flow of every transaction involved in the importation of wholesale building materials from China to the US. The following are some problems that may arise when dealing with building materials suppliers in China as well as some possible steps to solve or prevent such problems from occurring in the future. There may be instances where the number of units that arrive on your doorstep wouldn’t match with your order. Receiving products with poor quality and incorrect specifications could also be possible. When looking at high-volume shipments, things like these happen regularly. Such problems can be avoided first and foremost, by establishing a good relationship with your building materials supplier. There’s a chance the supplier will replace the damaged or units that are of pure quality just as an act of goodwill. A relationship built with trust would also ensure the products are inspected prior to shipment. It is best to find a building materials company that has an established quality control system. 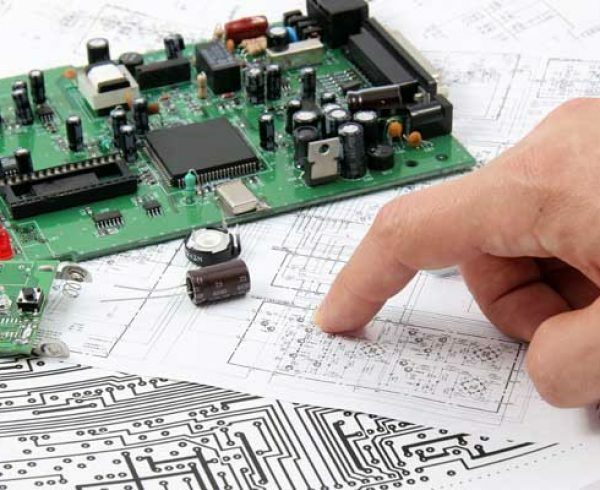 Deal with manufacturers and suppliers that performs product inspection and testing, has proven systems of order consolidation and quality assurance. Problems in communication are common in any international type of trading. Dealings with building materials supplier in China may also encounter these issues. Don’t be surprised to encounter a building materials company with poor to non-existent customer services. Just be informed though, that speaking English is not a priority in China, even in the course of international trading. Documentation and email written in English can easily be discarded or ignored. The solutions to the language barrier problem are fairly simple. Find building materials suppliers who have staff that can communicate in English—which happens rarely. Better yet, hire a bilingual broker who can bridge the gap in the communication process. It is also nice to have someone on your side who can understand what the locals are saying in order to get the best deals. Timing is essential to maximize the shipment of your wholesale building materials. Keeping tab of the schedule of packaging, loading, transit, and any other steps that require human intervention are important when importing cargo from China. The Chinese follow their holidays strictly and religiously. It is part of their tradition and culture. Most factories are closed for long periods due to their observance of holidays. Workers, especially those living in the rural areas of the country tend to spend time with their family during these periods, halting any production. It is wise to plan ahead of time. Make sure the key steps in the importation process will not fall on holidays. This can help prevent any delay in shipping from China to the US. Tip: We strongly advise choosing a fast ship (shorter lead times). Check the number of stopovers in the ship’s schedule. Avoid ships with a lot of stops. Some importers don’t include the carrier’s schedule in their planning, a real surprise, indeed. In the industries where Original Equipment (OEM) is prevalent, Intellectual Property (IP) protection will always be part of the contract between parties. This is true when dealing with manufacturers from China as well as to other countries. When parties come to an OEM agreement, the manufacturer acknowledges that its product will be used in the buyer’s end-product. This is great when you are on the spot where you have all the supporting documents that allow you to use and trade a product like your own. A problem may arise in situations where you may end up with a product that you can’t legally sell due to IP restrictions. On the other hand, your product may not have fulfilled the federal and state regulations in the US—an ordeal that is perilous on its own. Here are tips on how to avoid such unwanted situations related to IP violation. Make sure labeling requirements and proper documentation from both countries are fulfilled. See to it that patents and trademarks are set in places where you intend to sell your products. 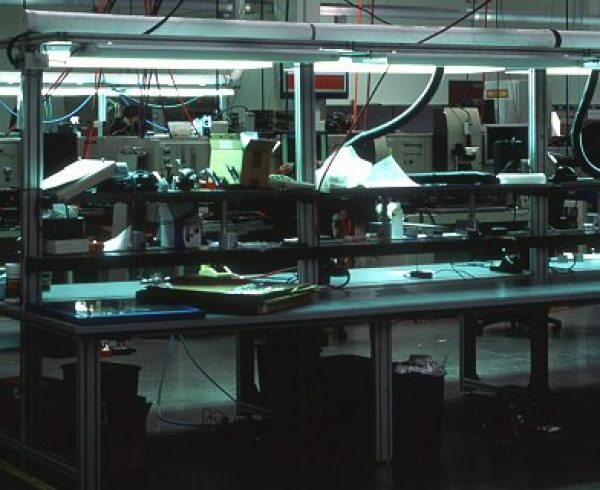 Take steps to prevent IP and manufacturing theft. Draft copies of NDAs and other relevant documents in Chinese. Most agencies in China do not acknowledge documents written otherwise. Use NNN Agreements whenever possible. If the original product idea belongs to you, include a Product Ownership Agreement, Product development Agreement, mold/tooling protection agreement to the deal. Ensure that there’s an OEM agreement to simplify everything between you and the building materials supplier. Hire a broker or outsource agent to help and guide you through the steps involved in dealing with building materials suppliers in China. China has transformed itself into a behemoth economy-wise—and the world along with it. The impact of China on the world’s economy is undeniable. Almost all, if not all products used in the development of global commerce can be obtained from China at the cheapest prices. Take the technology and construction industries as examples: China is their primary supplier and there’s no sign it will be changing in the next decade or so. A wise trader will always take this situation as an opportunity for further expansion and profit. China is now among the international leaders in terms of economic growth. Everything happening now in the development sector can be traced to the Tiger of Asia. This is the best situation for international traders here and abroad. Importing building materials promises huge profits you can’t obtain if such products are manufactured domestically. There are just thousands of thriving companies around the world, particularly in China that offers wholesale building materials that are of high quality albeit offered at very competitive prices. One just has to identify who they are and know the intricacies of shipping the goods to the US. This is where we, at China Sourcelink excel. 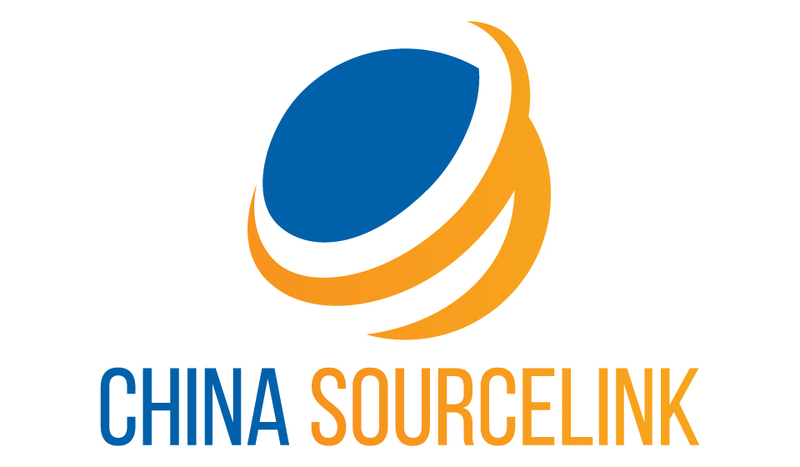 China Sourcelink has established a rich network of business connections in China. We have developed strong partnerships with the leading manufacturers and exporters from the region. Our contacts in the region are from different industries. In the construction industry, we have a long list of building materials suppliers in China who have been producing wholesale building materials for decades. Our information and communication systems are very reliable that we can help you in determining the reliability and capabilities of the building materials suppliers in China. In short, we can help keep the importation of wholesale building materials risk-free. 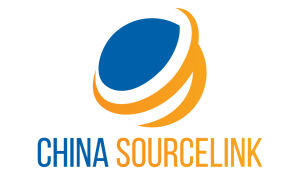 From production and supply to transport services, China Sourcelink has done it all. Just come to us and relay your needs and concerns; we will surely know what to do.